Some of Sr. Joyce Rupps most perennially popular books have been collections of her original prayers, blessings, poems, and reflections. 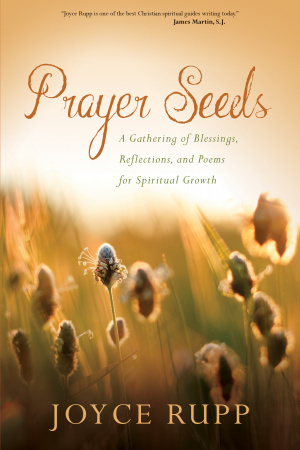 In Prayer Seeds, the bestselling author and retreat leader offers almost a hundred new selections on a variety of themes such as the feasts and seasons of the liturgical year, compassion, ministry, difficult times, and important eventsall suitable for personal or group prayer. Prayer Seeds by Joyce Rupp was published by Ave Maria Press in April 2017 and is our 64221st best seller. The ISBN for Prayer Seeds is 9781933495989. Be the first to review Prayer Seeds! Got a question? No problem! Just click here to ask us about Prayer Seeds.